Great science is not enough to create a successful life science company. It is a complex and often long way from idea to a product that will bring benefit to patients and revenues to the investors. 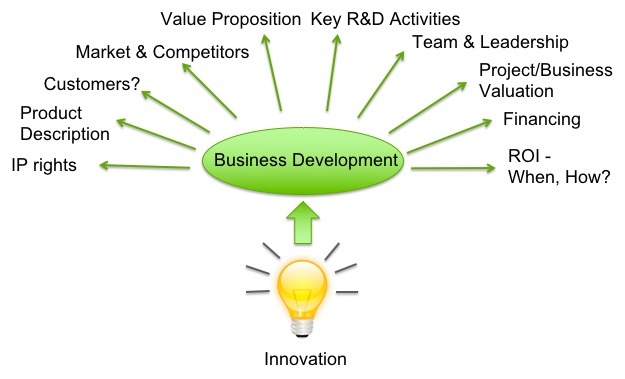 Business development cover a range of activities that will help you make the best possible decisions and shorten the way to your goal. It is of great importance to include a business perspective already early in the scientific and technical development process. What is the asset (product/project)? What makes my asset competitive and commercially attractive? Who is the intended customer/buyer of my asset? What is the value of my asset? Strategies to commercialize the asset? Is there an optimal time point to commercialize the asset? What needs to be done to reach the point when the asset can be commercialized? Precision medicine including biomarkers is an increasingly important part of drug development. A good idea deserves the best possible strategy so that the full potential of the project can be explored.